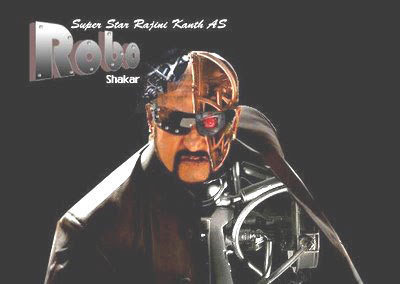 Robot is a complete techno film which has Superstar Rajinikanth as hero. It is being directed by Shankar and is being produced jointly by Ayingaran International and Eros Multimedia. According to our reporter Bannu, the makers of Robot are all set to buy out a bunglow for 12 crores which will be used for the movie. Robot movie is supposed to be the costliest movie of Indian cinema which is being made with a proposed budget of 120 crores. The director decided to make this movie over a period of 2 years. He also wanted a huge bunglow for shooting the film which would normally be hired or a set would be erected. But in this case, as the director wanted this house for two years to shoot the movie, the producers decided to buy a bunglow instead of renting it. The proposed 12 crore bunglow is sistuated on East Coast Road in Chennai. This house will be used as the residence of Superstar Rajnikanth in Robot film.